This campsite is just over a mile from the nearby villages of Crofton, New Crofton and Ryhill, and only a 20-minute drive south east of Wakefield, in the north east of England. If you stay here, you'll have Angler's Country Park, Haw Park Wood and Nostell Priory and Parkland right on your doorstep, not to mention the Anglers Retreat – a proper country pub where you can get cosy with a real ale next to the log fires. Wintersett Lakes Caravan and Camping Park has just 20 pitches with 16A electric hook-ups, including some hardstandings, plus a large rally field. Facilities are basic, with just a portable toilet and grey waste disposal. Whether you have a motorhome, a caravan or a tent, you'll be warmly welcomed by Gary and Jackie Avison.  Caravan Sitefinder asked Jackie what made the site so special. "My dad owns the farm and has done for many, many years, and we used the field for rallying for 17 years before finally answering the demands of our guests," she explained. "They wanted to be able to stay here all year round. The rally field also regularly hosts Duke of Edinburgh campers, so we've made sure that it is tent-friendly, too. We based the site on what we like ourselves – being close to nature, and able to relax and enjoy your break. "With that in mind, during the week the site is adults only, with more of a family feel at the weekend. We do allow campfires as long as they are supervised and in a fire bowl or on bricks. We can provide the fire bowls on request." "There aren't a lot of caravan sites in the area and we wanted to provide somewhere that people can come for short breaks to get away from it all," continued Jackie. "There are plenty of woodland walks nearby, plus the visitor centre and cafe at Charles Waterton Estate Country Park are great for families and accessible from the campsite. They installed an adventure playground nearly two years ago and the cafe does good breakfasts." If you want to be more active, there is a sailing club and, of course, fishing. There is also access to the Pennine Trail in the woods, so you can easily set off for a day's walking and enjoy a drink in the pub when you get back. Wakefield itself has loads to do, with The Hepworth Wakefield and the Yorkshire Sculpture Park for some culture, Wakefield Museum, Pontefract Museum and Castleford Forum Library and Museum for history, as well as many castles in the area. The National Coal Mining Museum has lots to keep the children entertained and informed, with former miners sharing their experiences as tour guides. The National Trust's Nostell Priory and Parkland has enough grandeur and beautiful gardens to stroll through, as well as special events such as craft fairs and musical performances throughout the year. The Wakefield area has lots of events and festivals such as the Pontefract Liquorice Festival or Seaside in the City. If you're still not sure what to do while you're here, Jackie and Gary are happy to help. They have even compiled an information folder with cycle routes, local shops, restaurants and takeaways, some of which deliver to the site. They are keen caravanners themselves, so they'll be able to help with any technical questions you have as well. "We've had a good first year, with 70% of people coming back," Jackie says. "We try to limit the effect of the site on the environment and have implemented most of David Bellamy's top 10 tips for environmentally friendly campsites. We want to maintain the peaceful nature of this area and enable others to enjoy it." "We are waiting for our re-submitted planning application to be approved, but hope to put a facilities block in soon and look forward to welcoming guests with a combination of 28 pitches, lodges, cabins and pods throughout the site. We'll keep it low-density so that each pitch still has privacy." So it seems that camping and caravan holidays at Wintersett Lakes are only going to get better – and you can be assured of a warm welcome from Jackie and Gary. Have you stayed at Wintersett Lakes? Write a review – tell us what you think!